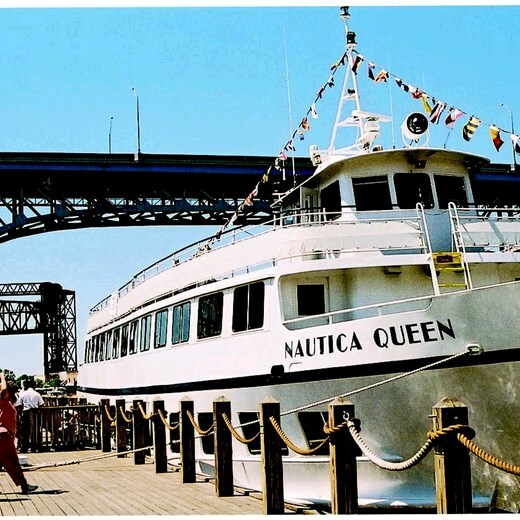 Board the Nautica Queen and take a cruise on the Cuyahoga River. The annual Cleveland National Air Show takes place during this tour. 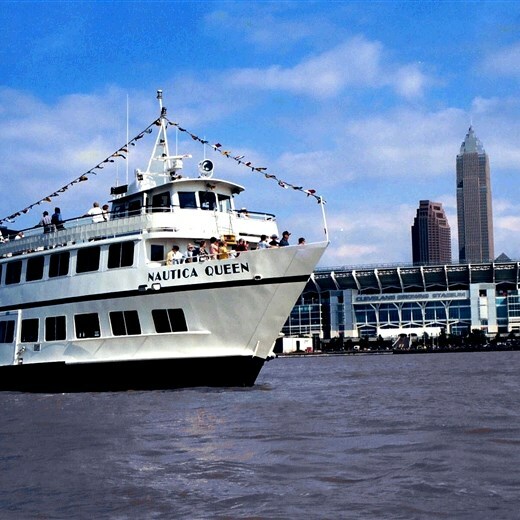 Board the Nautica Queen and take a cruise on the Cuyahoga River. The Nautica Queen is equipped with enclosed climate-controlled dining decks and an observation deck. Enjoy lunch, D.J. entertainment, and get a fabulous look at Cleveland’s skyline and dynamic Flats. The annual Cleveland National Air Show takes place during this tour. Get a bird’s eye view of the United States Navy Blue Angels or the Air Force Thunderbirds. 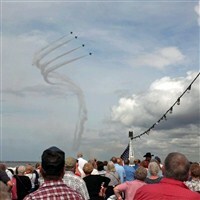 Includes: Transportation, luncheon cruise, entertainment, air show, meal gratuity, and taxes. Walking Code 2 - This tour requires that you can climb stairs and walk reasonable distances, possibly over uneven ground and walking surfaces.